New Delhi: An earthquake of moderate intensity hit North India on Monday evening. 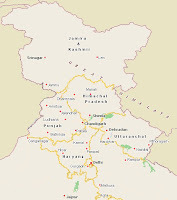 According to the Indian Meteorological Department the quake was of 5.7 magnitude on the richter scale. According to a Met department official the epicentre was in the Indo-Nepal Border near Uttarakhand, which lies in the seismic zone. 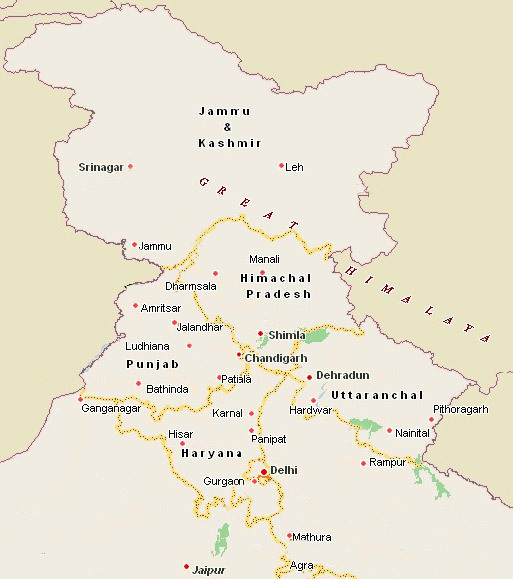 The tremors were felt in the whole of North India including Delhi, Ghaziabad, Dehradun, Chandigarh and Jaipur. According to the Met department the earthquake occurred at 5:01 pm and lasted for about 3 seconds. As per the initial reports there were no damage to life and property and there was no need for panic according to the experts at the Indian News Channel. It is the 4th Earth Quake in a month experienced in the National Capital Territory of Delhi, at a time when there was a fear in the common people mind after the tragedy caused by the earthquake which hit Japan on 12th March.